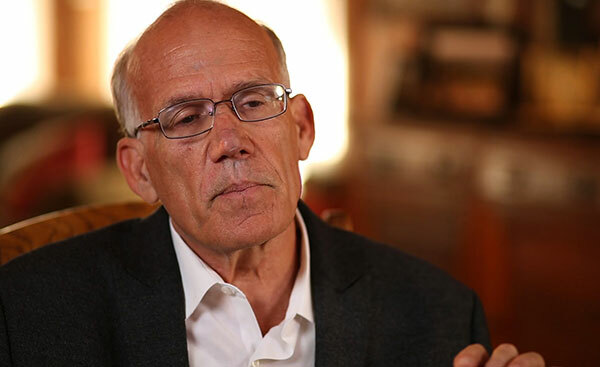 Victor Davis Hanson was also a National Endowment for the Humanities fellow at the Center for Advanced Studies in the Behavioral Sciences, Stanford, California (1992–93), a visiting professor of classics at Stanford University (1991–92), the annual Wayne and Marcia Buske Distinguished Visiting Fellow in History at Hillsdale College (2004–), the Visiting Shifron Professor of Military History at the US Naval Academy (2002–3),and the William Simon Visiting Professor of Public Policy at Pepperdine University (2010). Hanson is the author of hundreds of articles, book reviews, and newspaper editorials on Greek, agrarian, and military history and essays on contemporary culture. He has written or edited twenty-three books, including The Savior Generals: How Five Great Commanders Saved Wars That Were Lost - from Ancient Greece to Iraq (Bloomsbury 2013); The End of Sparta(Bloomsbury, 2011); The Father of Us All: War and History, Ancient and Modern (Bloomsbury, 2010); Makers of Ancient Strategy: From the Persian Wars to the Fall of Rome (ed.) (Princeton, 2010); The Other Greeks (California, 1998); The Soul of Battle (Free Press, 1999); Carnage and Culture (Doubleday, 2001); Ripples of Battle (Doubleday, 2003); A War Like No Other(Random House, 2005); The Western Way of War (Alfred Knopf, 1989; 2nd paperback ed., University of California Press, 2000); The Wars of the Ancient Greeks (Cassell, 1999; paperback ed., 2001); and Mexifornia: A State of Becoming (Encounter, 2003), as well as two books on family farming, Fields without Dreams (Free Press, 1995) and The Land Was Everything (Free Press, 1998). His forthcoming book entitled, The Second World Wars, will be out in Fall 2017 (Basic Books). Currently, he is a syndicated columnist for Tribune Media Services and a weekly columnist for the National Review Online. Morgane Farghen - Since the election of a new president, the U.S. authorities have repeated a couple of times they would lead through strength. Would you please remind us of the origin of the formula, its essence and present its strategic ramifications in a global environment characterized by the multiplication of crises and by a deficit in the management of security issues? Victor Davis Hanson - I am afraid international law has never been able to adjudicate global behavior, as valuable as are international meetings and bilateral agreements. Fairly or not, to the degree that US economic, cultural, and military power is engaged, then the viability of free and consensual societies is enhanced. “Through strength” is the Trump administration’s euphemism for restoring deterrence, which was lost as a result of faux redlines, deadlines, and step-over the last 8 years; deterrence, remember, is easy to lose but quite hard and dangerous to restore. Finally, “strength” in the U.S. context rests on two assumptions: one, that even with recent reductions in military spending, the American military remains preeminent, and, two, its power is pledged to help maintain the so-called postwar global order, the sanctity of NATO and Europe, and the protection of its key allies in Asia and the Pacific. In an interview, George Schultz refers to the role of deterrence in American foreign policy. As he notes, « Deterrence is an important part of American foreign policy. Through deterrence, we can achieve our goals through peaceful means. However, it is not easy. Deterrence requires the capability to act, the credibility to follow through on threats, and the clear communication of consequences ». Shall we expect deterrence to play a core role again in the American foreign policy in years to come? Yes, and let us hope it can be restored incrementally and without a major war. North Korea, for example, seems not to be aware that the United States has overwhelming military strength and is committed to the security and safety of its allies. The United States is searching for a means to apprise them of that fact without war. Half of deterrence equation rests on communicating to potential aggressors the readiness to use overwhelming force to protect one’s safety and interests. Resolve has been reintroduced in American foreign policy as a core principle. Could you remind us of the reasons for such an inflexion? The contrast with the past near-decade foreign policy is striking. I guess the reluctance of the previous president when it comes to the use of force has something to do with it. Yes, but worse still is the combination of sermonizing and moralizing when not backed by force — the perversion of Teddy Roosevelt’s admonition into something like “talking loudly while carrying a twig”. To lecture Putin or the Chinese on the need for a better global behavior only fuels their impression that the United States is no longer a credible superpower. Throughout history, strong nations that were intimidated by weaker ones were especially vulnerable to acts of otherwise illogical aggression. We forget sometimes that even in September 1939, combined British and French manpower, French armor, and British and French air and naval power were more than a match for the Wehrmacht, although such a reality and the will to use such assets were never properly communicated to Hitler. The world assumed after 2008 that Barack Obama would always provide mellifluous contexts, charming asides, and academic pontifications about world crises as a means to avoid bad/worse decisions. Aggressors know when a president votes ‘present’. The current American policy over North Korea is more demanding, the purpose is not to freeze a situation characterized by proliferation but instead – to achieve denuclearization. The pressure over China to get it use its leverage over North Korea is also stronger. Would you please comment this change of paradigm in the new American foreign policy and tell us how it is important today? Rarely do nations give up their arsenals or plans to acquire nuclear programs. Ukraine, South Africa, and Libya were exceptional cases. Syria and Iraq had to be preemptively bombed by the Israelis. Our only real leverage over North Korea is the carrot of ceding China the opportunity of installing any non-nuclear regime it wishes with American promises of not reuniting the peninsula under South Korea, and the stick ultimately of allowing, if they so choose, Japan, South Korea, and Taiwan to go nuclear. We have not had pro-American regimes go nuclear since the Israelis in 1967, but that does not mean it will not occur. Russia and China have assumed that only rogue anti-American nations will go nuclear, but North Korea’s neighbors might well, and they are democratic, pro-Western, and suspicious of China as well. I note that proliferation is not desirable and we hope North Korea can be de-nuclearized through less drastic measures—commercial pressures on China, threats to suspend Chinese work, travel, and student visas in the U.S., suspension of all importation into North Korea, and a Manhattan-Project-style missile defense system in Japan, South Korea, and Taiwan that would preclude even a Chinese first-strike capability. “Strategic patience” of the past was simply a mechanism for North Korea to develop thermonuclear-tipped missile to threaten the U.S. and its allies. When it comes to changing paradigms I have this sense that the new ethic that drives the foreign policy is an ethic of responsibility. We have not been witnessing such a sense of global responsibility in American foreign policy for a long time. It contrasts with the tonality of candidate Trump’s during the presidential campaign, since he got us used to opposite speeches…will the United States stick to the line? Well we are in a paradox. In the parlors of Europe there is quiet relief that the sober and judicious rhetoric and studied appeasement of the Obama administration is over, even as it is de rigueur to caricature the crudity and bombast of Trump. There is likely also some reassurance that the U.S. will once again protect its friends and punish its enemies. We saw that with the changing rules of engagement in Syria that helped to lead to the implosion of ISIS, a tougher line with North Korea and Iran, and a growing tension with China. The attractions of appeasement are that in the short-term it is always seen as prudent and statesmanlike even as it bequeaths to successors the ever harder and more dangerous task of restoring deterrence. The crisis on the Korean peninsula offers us a vivid case of how to implement such a foreign policy. North Korea’s surrender in provocations has challenged such a strategy by opposing resistance; how do you explain such resistance? If we assume that North Korea is somewhat rational, then it knows that in 2017-8 a missile launch toward the US is synonymous with its destruction. But it seems not to think that is certain, given 30 years of appeasement and the collusion of the Chinese. So our task is twofold: 1) in word and deed to remind North Korea that their present trajectory would end their regime and their country; and 2) to convince China in a series of escalating steps that its past use of North Korea to bother the US and consume its attention and resources in the Pacific and Asia will no longer work; and in a cost-benefit analysis, that its North Korea patronage is no longer worth the risk. Note that the restoration of deterrence is again dangerous and requires at least iconic examples of the use of force to convince aggressors that the convenient status quo is over. In the case of North Korea, the West hopes such demonstrations are not needed, and if they are, do not lead to a wider war; but at some point, the Trump administration must be ready to show the regime that the U.S. is serious. The diplomatic mobilization to support non-proliferation has helped the United States but as a side effect, the diplomatic ballet (too many stakeholders with conflicting stances) has created confusion. The Russian and Chinese alternative plan has been rejected because it was attempting to freeze the situation in spite of restoring the situation that prevailed before the nuclearization, other diplomatic initiatives options by South Korea have been rejected, for being too naïve, and finally, the United States kept the lead. But as a result, it seems particularly challenging for the US to impose its leadership and to keep it. Do you share this view? China and Russia have assumed that all recent violators and would-be violators of non-proliferation are anti-American and unstable and thus useful to their strategic interests—e.g., Pakistan, North Korea, Iran. But in the next possible expansion of the nuclear club—Taiwan, South Korea, and Japan as antitheses to North Korea, and Egypt and Saudi Arabia to check Iran—nuclear powers will be likely more pro-American and in regions far more proximate to Russia and China. Both countries are losing sight of the fact that their borders may soon be jammed with nuclear neighbors, not all of them friendly and far more dangerous to them than their quasi-clients are to us. We need to remind and warn them of that contingency. Certainly, North Korea’s proliferation cannot be rewarded and institutionalized. Can you envision a South Korean autocracy sending missiles toward or over China, while bragging of a thermonuclear capability? Beijing would hold the U.S. culpable and it would be right to do so. And they would not allow such a fact to become a permanent reality. I would be tempted to say that the position on North Korea may influence crisis management elsewhere. Iran is probably watching very closely the way the United States stick to its line. Every departure from the strategy, every breach in the US resolve could be understood as an incentive for Iran to better impose its interests. Do you agree with this? Yes, of course. How we will deal with North Korea will be seen in Teheran either as very good or very bad for Iran’s agenda. Since 2008, unrest in Syria and Libya, and threats from North Korea have been seen by the Iranians as good examples of why there will likely be no consequences for crossing the U.S. The fact that there were elements of the Iran Deal that were not transparent and that the treaty was not sent to the U.S. Senate where it would have been outright rejected suggests that it was not in the Western interest, albeit lucrative to both Teheran and Western commercial interests eager to profit from renewed trade. When it comes to reading into adversaries’ strategy, Russia and China adopted consensual stance but they have played their own agenda attempting to impose their plan. Beside, both have exalted risks of escalation. As traditional powers, nuclear states, they have a long experience of deterrence. They should know that deterrence plays as a factor of regulation especially in a context characterized by asymmetry of force. Conversely, pointing to the risk of escalation could dismiss the American strategy to the large public. Is it an attempt to leverage the crisis to better serve their own interests? any regional chaos is seen as good in the sense of consuming U.S. time and resources and evening the playing field. I fear they will only change their behavior when they are treated to like behavior from us. It is a Western pathology to mirror-image rivals and enemies and thus to expect them to act in a rational and predictable style, with shared interests in preserving a global system. Unfortunately, that is not always the case and it reflects a certain Western cultural arrogance to expect that determined rivals would naturally agree on the proverbial common good. By clarifying its positions over North Korea, saying that it would not defend North Korea should it attack but it would defend North Korea should it be attacked, China has frozen the status quo and by doing so, it has attempted to retake the leadership to impose its own conditions in the crisis management. Should the United States leadership be dictated by the Chinese agenda? No, they present us with a threat unlike any in recent decades, and then suggest that by stepping back from the mess they deliberately created, we should reward them and the world give China its thanks—as if a rioter threatening death and destruction is to be congratulated for finally calling on fellow thugs to limit their destruction to theft and arson. Again, China would not tolerate a Japan or South Korea doing to it what North Korea is doing to others. What would be the strategic ramifications of such a statu quo? We simply cannot live with a nuclear North Korea—unless China thinks it can live with a nuclear South Korea that occasionally lets off thermonuclear bombs and sends missiles in their vicinity. It would be a sword of Damocles over the Pacific, and require the paying of periodic Dangeld to defuse serial crises. The events of 2017 are the logical reification of what North Korea has envisioned for three decades. One hypothesis is that China is buying time to postpone crisis management. What interests could it serve, peace and stability, or proliferation and provocations? They know well American interest and attention are erratic, and thus the longer North Korea is nuclear the longer it will gravitate to the role of a Pakistan or somewhat worse and thus become tolerable to the U.S. Former National Security Advisor Susan Rice has said just that—that we can live with a nuclear North Korea and its unhinged behavior. China (cf the Spratley Islands) always seeks aggression and aggrandizement only to back off and call for compromise in a fashion favorable to it in comparison to the previous status quo. Take an inch now, get a mile soon is their modus operandi. Once more, chronic aggression is the logical dividend of Western appeasement—a policy predicated on the therapeutic mindset that the Western statesman who avoids war by passing on an accelerating crisis to his successor is to be preferred to the leader for whom further appeasement without war is impossible. Diplomatic pressure over China has nonetheless proven that China’s resistance bends before the influence of American resolve. Would China resist longer acing a more offensive strategy? We have lots of steps that they are apparently unaware of. Why do Chinese nationals, especially party members, have a right to buy property in the U.S. or send their elite children to U.S. universities? Why should they assume a new missile defense system in Japan or South Korea would not deny them as well a first-strike capability? Japan’s nuclear capability would not be akin to North Korea’s or even China’s but more like our own. Are China’s own border disputes with India and Russia not of some interest to the U.S.? Is the U.S. incapable of waging a war of information inside China or becoming far muscular in its efforts to destabilize the Kim dynasty? They should know all that. Instead of complying with denuclearization, North Korea has resisted the pressure and surrendered in provocations, but the multiplication of tests and provocative declarations has paradoxically reflected its weaknesses: the North Korean regime carries out tests because it is condemned to do so; it is condemned to do so because it does not have the means to escalate. This should mitigate the risk of an escalation. What could drive the regime into an attack that would result in a suicide? Any hint that the U.S. would not respond or could live with its nuclear aggression. We have it backwards recently: bombast rarely if ever starts wars; instead, mellifluous assurances (cf. Dean Acheson’s in 1950 about not protecting South Korea or April Glaspie’s assurance of restraint to Saddam Hussein in 1990) are far more dangerous. “Rocket man” may be a crude and bombastic epithet, but it is far less dangerous than uttering ad nauseam “strategic patience”. Adopting a pre-emptive strike doctrine would increase pressure on North Korea while sending China the signal that the United States does not want China to dictate the terms of crisis management. Can you please comment the value of pre-emptive strikes for deterrence and nonproliferation? Preemption historically is a delicate matter, often with deleterious consequences unless it is thought out to the nth degree and accompanied by determination to continue pressure. Anyone considering a preemptive strike has to be prepared for counter- and counter-counter strikes. It is not as simple as Israel’s 1967 attack on Egypt or its 1981 hit on Saddam’s reactor. Both preemptive and preventive wars have a checkered history and are often euphemisms for aggression. No one rules either out, but again they require a degree of strategic thinking and preparation that so far seems antithetical to current American foreign policy, especially after Iraq. What is the value of the concept as a factor of deterrence? And defense? How would the concept play in such a crisis? Unpredictability is critical for deterrence. Predictability is near fatal. North Korea needs to know that the U.S. is capable of anything at any time once it feels its West Coast is existentially threatened. Preemption, again, is more a psychological tool than a viable strategy in the present case, at least as it has developed so far. No one, of course, can assure that events in 2018 or 2019 will be static. Do you consider that the situation on the peninsula meets these criteria? One and Two certainly are. Three is a matter of debate. We are giving China some time to remedy the situation; if it is stalling, things could get out of hand. The Chinese should be considering preemption more so than the U.S. ––in the sense of removing the Kim family and replacing it with a more pliant client that does not prompt the nuclearization of Asia and the Pacific. Whether using pre-emptive force is consistent with the terms and purposes of the UN charter. My 5 would be the calculation on the part of the preemptor that a first strike is seen in the context of a grander strategy to solve the crisis, should the initial hit not solve the problem. Too often a power preempts and then is shocked that it finds itself in a war that it did not carefully calculate or prepare for. It is commonly accepted in deterrence thinking that “the ability to take risks is part of any success story”. What kind of risks the US and its allies should take on the peninsula? The guiding principle is that any offensive action must have a far better chance of reducing damage to our interests and allies than does our inaction, now and in the future—with the understanding that the unexpected is the stuff of war. What would be the conditions under which pre-emptive strikes would be used should deterrence fail? A North Korean missile attack on our allies or bases in the region or massing of troops on the border of the DMZ. George Shultz defines three conditions for deterrence: capability/credibility/clarity. Yes, I agree, with the rejoinder that all require some level of risk to apprise the enemy of such a tripartite determination. Should the American president be clear about pre-emptive strikes? Yes within limits. But I think it wiser to be vaguer than explicit about all our plans—in the general landscape of reminding aggressors that the U.S. is capable of things that they can scarcely imagine. What scenario of strikes would make the doctrine credible? Much is unknown. We are told that “10,000” artillery platforms will destroy Seoul in minutes. But 4,000 rockets launched at Israeli cities in 2006 killed about 50; the 8 million plus population of Israel is not currently held hostage by the boasts of Iran/Hezbollah of 200,000 rockets at their throat, in a way that Seoul’s 25 million spread over 250 square miles seem to be from North Korea. Again, much is unknown and uncritical groupthink dominates. We need to examine all these issues empirically, and not mouth dogmas. I do not dare ask about the first criteria. What would be the role of nuclear weapons in such a doctrine? The United States would not likely use nuclear weapons first; their use would be a response in kind to North Korea’s--predicated of course on strategic advantage. I note in closing that in diabolical fashion, Kim Jong-un has sort of bifurcated South Korean and U.S. strategic interests; the old U.S. worries about the supposed incineration of Seoul have been replaced by those concerning Portland or San Diego. Such considerations in thermonuclear calculations can severe a lot of past commonalities––and by North Korean design.